Finding the right paddle is almost as important as finding a great standup paddle board (SUP). If you already own a SUP, a paddle probably came with it. While these paddles are functional, the problem is they tend to be cheap and heavy; and they usually do not float. The best paddle for you will be comfortable for your style of paddling as well as efficient in order to keep fatigue to a minimum. This guide will assist you in buying the best SUP paddle for your needs based on our comparisons of the top brands. For more of my top gear recommendations, have a look through these popular Outside Pursuits guide links: Life Jackets, Stand Up Paddle Boards and Inflatable Paddle Boards. Here is a feature overview of my 3 top rated SUP paddles with our comparison table and our buying guide below. This SUP paddle by California based Super Paddles is a beautiful and functional at the same time. The paddle features a carbon fiber shaft and paddle with a very thin bamboo veneer for an eye catching look. Don’t judge it on looks alone however, this high performance paddle has a dihedral blade (see below) to help eliminate “fluttering” and give you a smooth powerful stroke. This is a 3 piece paddle so it gives you the ultimate in portability. When disassembled it is about 3 feet long so you can take it anywhere and easily fit it in your vehicle. 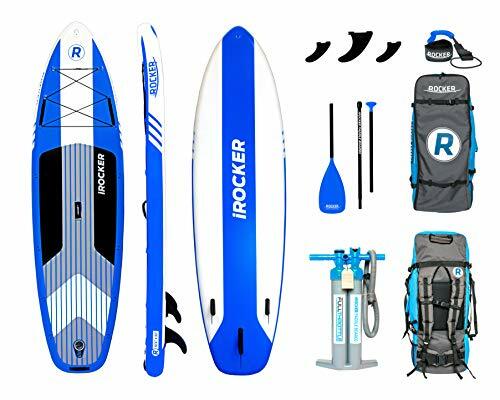 The carbon fiber paddle has a wide range of adjust-ability, from 72 to 86 inches (180 to 218 cm) and has secure, easy to lock design. I was able to assemble and adjust the paddle in about 15 seconds after a few tries. The carbon fiber blade is tough and chip resistant so you can push off with it and avoid obstacles. Being extremely lightweight at about 21 ounces, you will not get as tired with conventional aluminum or fiberglass paddles and it of course it floats, unlike many other SUP paddles. To round out the package, it comes with a quality storage bag that has 3 compartments. One for each part of the paddle, this way the paddle is not banging around getting damaged in transport. Not only that, the bag is padded so if you drop it or something falls on it, it is protected. The paddle is available in 5 models varying from a 100% carbon fiber model to a much less expensive nylon composite blade and aluminum shaft. Super paddles offers a 12 month replacement guarantee against defects. This is for the Paddle Boarder who wants a quality, lightweight paddle and is my top pick for a carbon fiber SUP paddle. You can feel good when you buy from Super Paddles, they are committed to helping the environment by contributing a portion of sales to the “1% For The Planet” organization. The iGK carbon fiber SUP paddle was designed from the ground up to be the lightest, strongest SUP paddle. Weighing in under 2 pounds (1.8) I think it is the lightest sup paddle on the market. This is a 3 piece adjustable SUP paddle, that can be adjusted in length from 72 to 86 inches (180 to 218 cm). When you break down the paddle into sections, it measures 36 inches (91 cm) and comes with a 3 compartment travel bag so that the paddle parts don’t grind against each other or get chipped and damaged. Going on vacation? Take the paddle with you, the bag will keep it protected, even if you check it. This way you don’t have to use the cheap rental paddle. 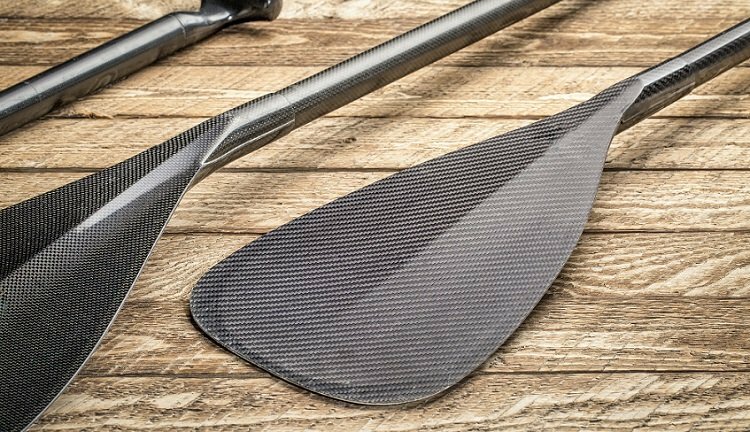 The iGK paddle comes in two models; a 100% carbon fiber paddle and one with a carbon fiber shaft with a strong, lightweight fiber glass blade. The locking mechanism is the easiest to use of any paddle tested, you can literally assemble it in 10 seconds flat. At its shortest length of 72 inches, it will work for someone who is about 5 feet tall and up, making it ideal for teens and kids. The iGK paddle comes in a variety of paddle sizes, from 105 sq inches to 80 sq inches and blade angles from 12 degrees down to 6 degrees. So no matter your level of experience you will be able to find a paddle to fit your paddling style. If you are into catching some waves, this may be the best SUP paddle for surfing! Whether you like to race, surf or just recreational paddle, the iGK is an excellent choice. This paddle was designed by Bullet Proof Surf to be in their high performance line, with a carbon shaft, composite fiberglass, nylon blade and a durable handle made with strong carbon fiber. The blade of the paddle face is 420 mm (16.5 inches) in length and 215mm (8 inches) at the widest part. The paddle length is easily adjusted to the size of the paddler, and stays tightly locked in to place. 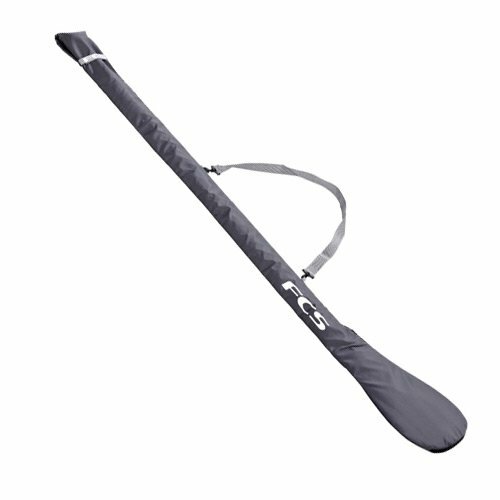 At its longest length, it reaches 2150 mm (85 inches) suitable for taller paddlers. For shorter users, the length can be adjusted to 1760mm (69 inches). Unfortunately, this paddle does not come apart for traveling and storage. The composite blade is more forgiving than full carbon blades and won’t suffer chips or other damage and has proven to be stronger and durable when coming in contact with the board or pushing off docks or even rocky surfaces. 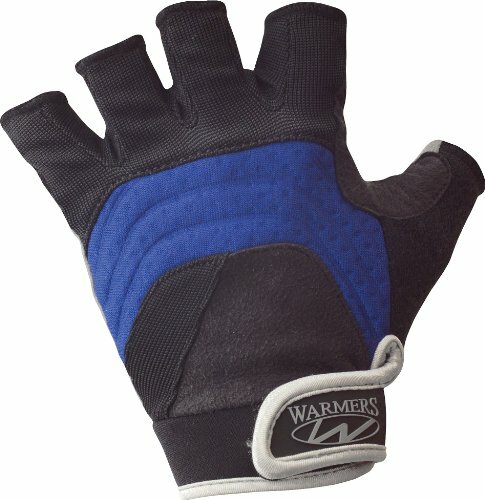 The carbon fiber handle is smooth and easy on the hands. It comes with a free storage and travel bag for the paddle to protect it from chips, scratches, or other damage. The bag is constructed with a convenient heat reflective lining to protect from the harmful UV rays of the sun. 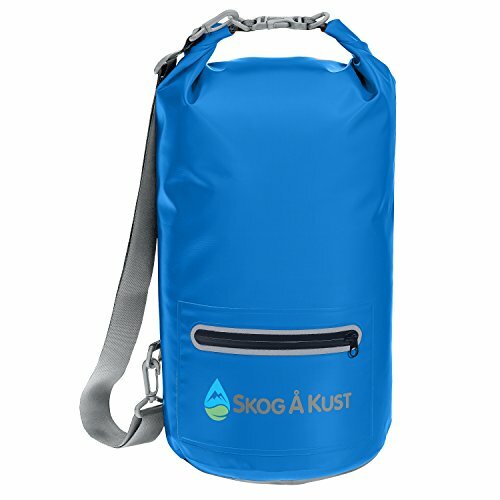 It also has Velcro straps on the outside of the bag, adding the ability to carry a second paddle. Bullet Proof Surf offers a 12 month guarantee for refund or replacement if their paddle fails to perform as expected. In my opinion it’s the best SUP paddle for the money. The Carbon Fiber SUP Paddle by Bullet Proof Surf is one our top picks and the best SUP paddle under $100. This SUP paddle by Own the Wave is durable and strong while being lightweight due to its aluminum alloy shaft and nylon composite blade. Its light, at 2.2 pounds making it comfortable for most paddlers at all levels of experience. The paddle handle features a comfortable ergonomic design that can be adjusted from 71” to 83” (180cm – 213 cm). The adjusting mechanism is a pin that slides into holes, rather than a twist-off, which will prevent loosening in the water with frequent use. The grip is smooth, and easy to hold on to for long paddle boarding sessions. With a foam core, this paddle is 100% guaranteed to float in fresh or salt water. The end of the paddle is bent to make the stroke more efficient. Traveling and carrying the paddle is convenient, because it easily separates into two pieces. The longest section of the paddle being 66 inches (167 cm), which will fit in the back of most vehicles. Each paddle comes with a free ‘’Own the Wave blade cover’’ to protect the paddle when traveling or carrying it to and from the water. The paddle cover is constructed with a heat reflective internal lining which will protect the paddle from the sun. The Adjustable Alloy SUP Paddle by Own the Wave is a good choice for a budget SUP Paddle. This adjustable paddle by Bullet Proof Surf is made with a lightweight aluminum shaft for time tested strength and reliability. The sturdy blade is made from an industry standard nylon composite blade that is light and chip resistant. The handle has been designed to be ergonomically correct, providing maximum comfort for long periods of paddling. Its a standard 2 piece design, so the paddle is easy to transport. 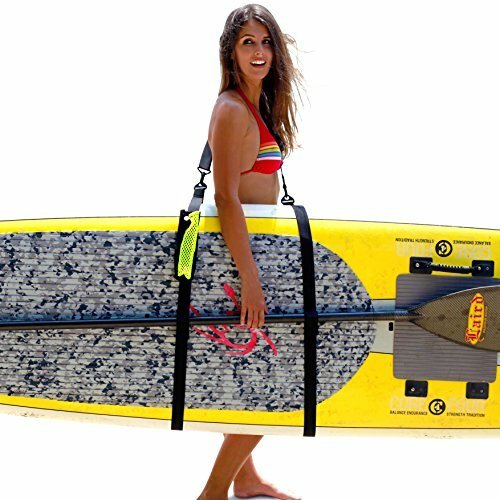 The longest piece is only 66 inches (167 cm), making it easy to carry to and from the water, or toss in the back of your vehicle. The Bullet Proof paddle is adjustable, as it quickly and easily can go from 71” – 83” (180 cm to 213 cm) allowing you to get the perfect length for most any paddler regardless of height. 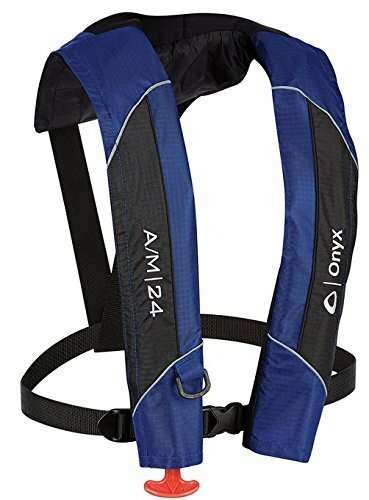 With a light weight of 2.2 pounds, it is ideal for general use for beginners as well as the more advanced stand-up paddle boarder. I like the fact that the paddle shaft is made with a foam core guaranteeing it will float in fresh and salt water. You will appreciate not having to dive into the water to find your sinking paddle, if you drop it. Additionally, each paddle comes with a blade cover with a heat-reflecting lining to protect the blade from the sun or when transporting it to and from the water. 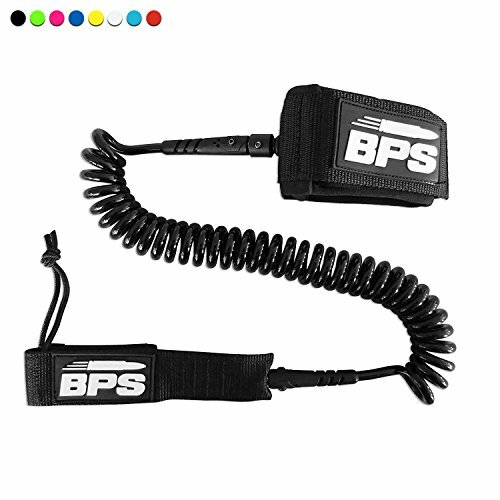 BPS provides a generous 12 month guarantee on the paddle. The Adjustable Alloy SUP Paddle by Bullet Proof Surf is a good choice from a company that knows how to make paddles and in my opinion, the best SUP paddle under $50. Super Paddles SUP Paddle 12K Carbon Fiber 12K Carbon Fiber 72"-86"
iGK SUP Paddle Carbon Fiber Glassfiber 72"-86"
Own the Wave SUP Paddle Aluminum Nylon Composite 71"-83"
BPS Alloy SUP Paddle Aluminum Nylon Composite 71"-83"
Finding the right length for you and your SUP depends on a variety of factors, including your height, the condition of the water, and the length and width of the SUP’s hull. A general rule to consider in choosing the correct paddle size is to stand the paddle upright and it should be eight to twelve inches taller than you. Any shorter than eight inches you will have to exert more energy to paddle, due to a decrease in leverage. Any longer than twelve inches and the paddle will be harder to pull up out of the water. This test is a general rule of thumb, but an ideal solution is to get an adjustable paddle so that you can try different lengths to see what works best. The most important component of the SUP paddle is the blade. The blades are designed to be slender with a low profile for less drag. As you pass the blade through the water, it exerts force on the water, in turn creating acceleration for the paddle boarder. SUP paddle blades come in roughly size categories: small, medium and large. 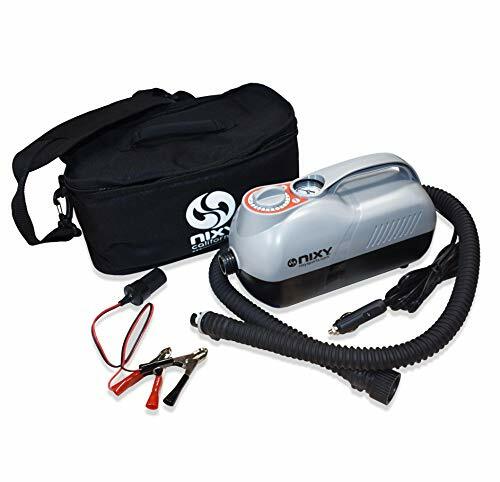 The size you use will depend on your fitness and experience level. Small blade – Best for beginners and less fit paddlers. Medium blade size squared off blade – Best for speed and racing. Large rounded off blade – Stronger more experienced paddlers or large waves. As you have probably noticed SUP paddle blades are angled to the shaft. This may seem strange and counter intuitive but there are good reasons for it. Normally you will see blade angles of about 10% but they are available from 6% up to 12%. The angle of the blade allows the paddle to begin its power stroke a little bit further away and gives you a bit more power in the stroke. With an angled blade the force of the stroke doesn’t dip the nose of the board into the water as much give the paddler better glide through the water. At the end of the stroke an angle drains the water from blade better so you don’t lift any water left over when you pull the paddle out of the water. Blade angle is a personal preference and if you are not sure it is best to stick with the traditional 10% or so angle. 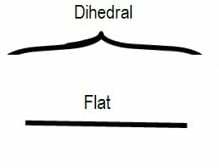 There are two main shapes for a SUP paddle; flat and dihedral. So the question is, why would you want a “dihedral” blade? Well the theory is, that a dihedral blade reduces what is known as “flutter”. Flutter is when the blade does not come straight back during the power stroke. The blade may wobble or rock back and forth because the paddle does not have enough strength to keep the blade from “fluttering”. When the paddle flutters you can end up banging the paddle against the rails of the board. The dihedral shape allows the blade to cut through the water better. There is a downside of course and that is you lose some power in the stroke because of it. Some paddlers also feel it takes longer to turn the board, this is especially important to surfers who need to turn the board rapidly to catch a wave. For this reason this blade shape tends to be used by beginner paddlers who are willing to sacrifice a little “catch” or power in their stroke for a smoother stroke. These blades are primarily made for individuals that use an SUP for touring and recreational use. These small blades require far less strength, than larger paddles do. However, small and medium blades will not move through the water as quickly as larger paddles. Small blades are better for children. Large blades are designed with the surf and turbulent paddle boarder in mind. The larger blades help the rider to navigate through the ocean’s surf or other more unruly bodies of water better than small and medium blades. There are several option to consider pertaining to blade material. As it is with any other activity, choose what a good fit for you. Understand that different materials exhibit different physical qualities, such as: durability, rigidity and flexibility. Carbon fiber is extremely light weight and strong. The lighter weight becomes especially important when you are on the water for hours at a time or racing. They also tend to be tougher and can withstand the abuse of pushing off and avoiding obstacles. Fiberglass is slightly heavier than carbon fiber. It is a good material for the intermediate paddle boarder being lightweight and strong but cheaper than carbon fiber. Out of all the material available for paddle boarding, aluminum is the least expensive and relatively lightest in weight. This is a good material for beginners to enjoy their SUP endeavors. SUP paddles are manufactured with an angle, also called an “elbow”. This elbow increases efficiency for the paddle boarder and divert pressure from the wrists, especially during long periods of paddle boarding (touring). Video: Beginners guide on paddling techniques. 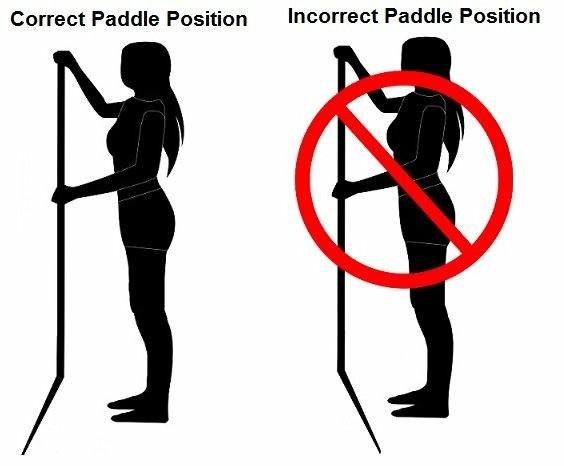 If you would like a guide on how to paddle board, click here. 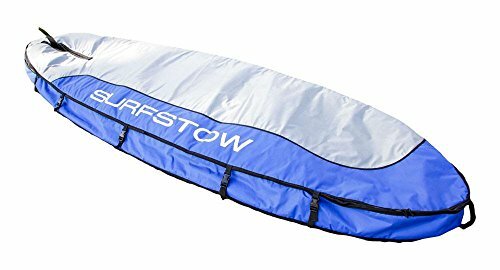 I personally use an inflatable SUP, here are my reviews on my favorite boards. 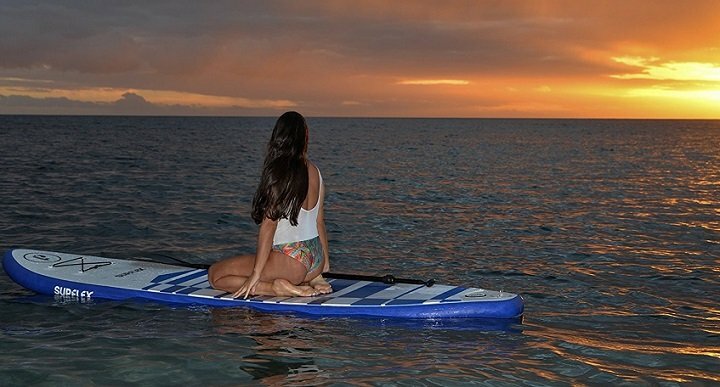 Looking to try paddle board yoga, here is a guide on how to start. 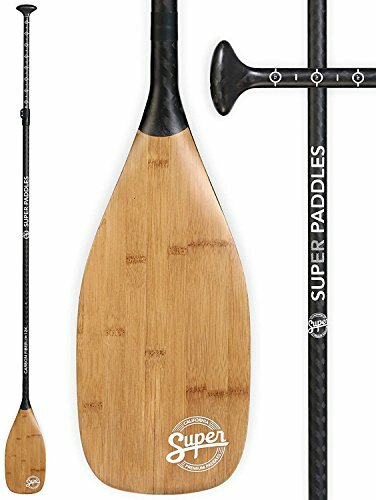 The Super Paddles is our Editor's Choice for the best SUP paddle with its combination of adjustability, weight and quality.